Hatch Chile season is almost over. That makes me sad, because they are so flavorful. But before they disappear from your local market, I thought I would share one more recipe with you. 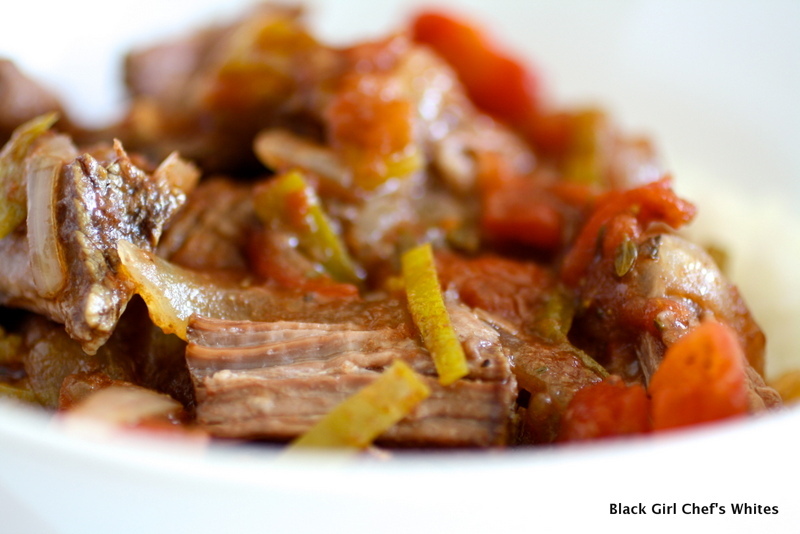 This slow cooker recipe uses fresh Hatch Chiles, which impart a deep flavor to the sauce. 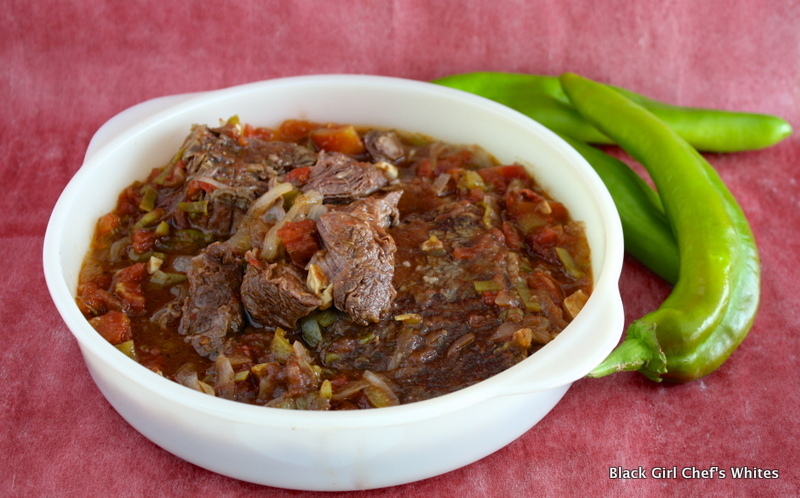 Depending on your heat tolerance, you can use mild, medium or hot Hatch Chiles in this recipe. I use mild, because I have to feed a six year old, who has yet to learn the the joy of a meal that can make you sweat. As with any slow cooker recipe, all you have to do is load her up, turn her on and walk away. That sounds like a date I had in the past actually. 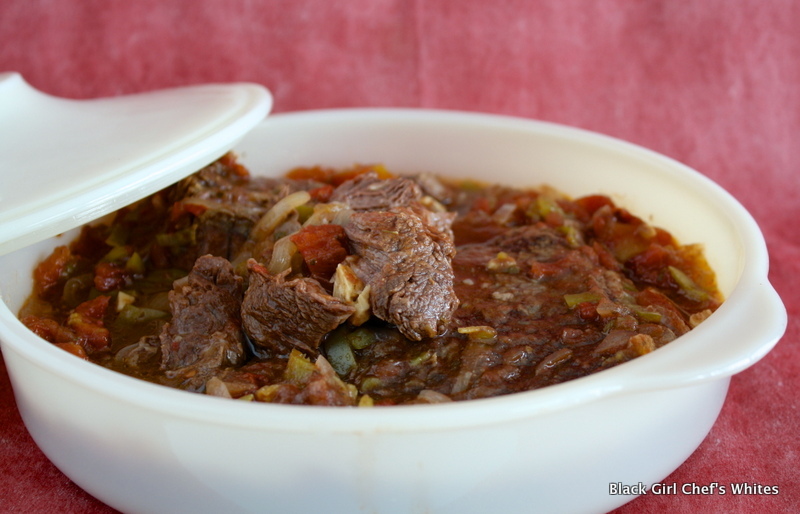 . .
Place the chiles, garlic, thyme, onion, 1/2 teaspoon of salt, cumin, oregano and tomatoes into the slow cooker. Stir to mis the ingredients. Sprinkle the remaining 1/2 teaspoon salt onto the chuck roast. Place the roast on top of the other ingredients. Set the slow cooker to high. Cook the roast for 5 hours, or until extremely tender. Roasted Hatch Chiles will do just fine. The taste will be different, but it will be just as delicious Kristen! I don’t have fresh Hatch chiles, only roasted ones (the grocery store down the street roasts them and sells them that way) but I believe this would work just fine with them.